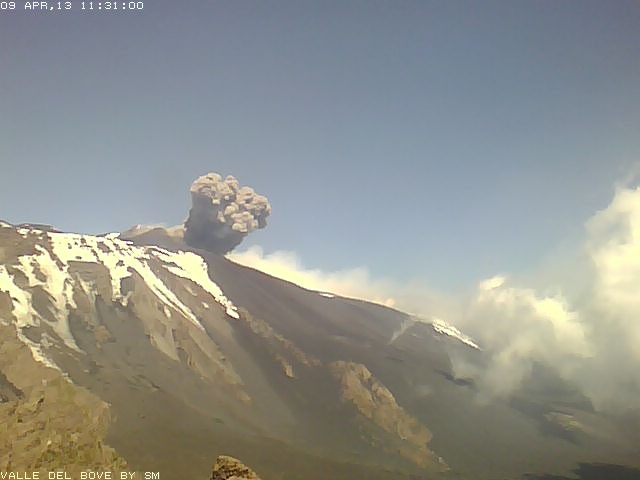 Etna (Sicily, Italy): Relatively strong ash explosions continue to occur from the New SE crater. At the same time, the tremor signal is rising - maybe we're about to witness the start of a new paroxysm? Karangetang (Siau Island, Sangihe Islands, Indonesia): An eruption has occurred this morning. VAAC Darwin signaled a volcanic ash cloud reaching 14,000 ft (4.3 km) altitude and extending 25 nautical miles to the WNW. VSI maintains the volcano on yellow alert (since 2011).